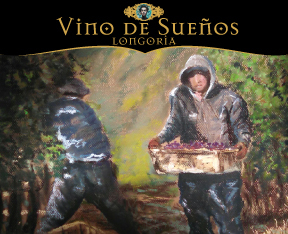 Established in 1982, Longoria Wines is a small family owned winery producing acclaimed artisanal wines from some of the finest vineyards in Santa Barbara County. Pioneer winemaker Rick Longoria has been involved in the local wine industry since 1976. His wines are distinctive for their purity of varietal and site expression, balance and compatibility with food. Visitors are welcome at the Longoria Tasting Room located downtown in the village of Los Olivos.